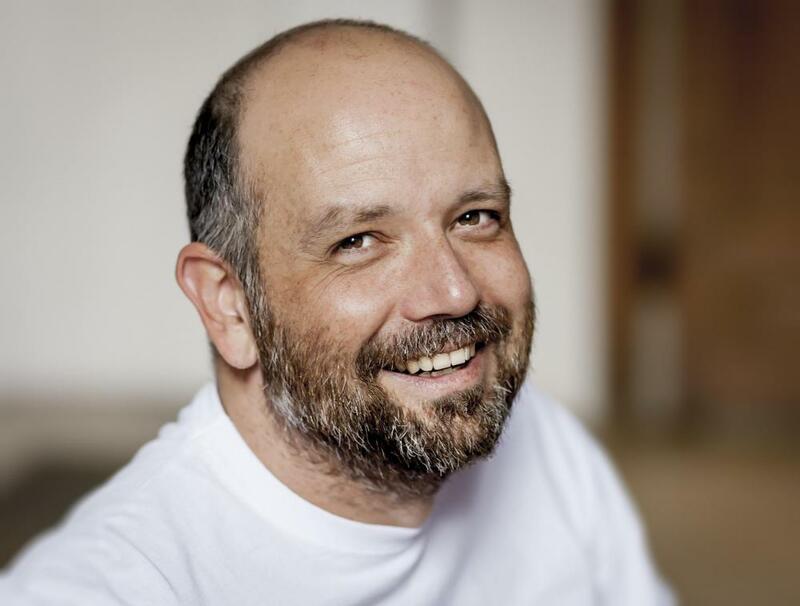 People under prolonged stress often suffer from premature baldness. Genetics may cause premature baldness. Female pattern baldness in women results in hair loss all over the head. Hair loss is common, with more than half of adult males losing a significant amount of hair by age 65. Menopausal women also are susceptible to premature baldness and patchy hair loss. Genetics and disease are the main causes of premature baldness for most adults throughout the world. Stress, pregnancy and hairstyles also can play significant roles in hair loss. Each strand of hair on a person's head lives and grows for as much as five years before reaching the end of its life cycle and being shed. The now-empty hair follicle then takes a small break before producing a new hair to replace the old one. This cycle repeats automatically from birth to death, unless it is interrupted by a disease process or one’s genetic code. A family history of premature hair loss predisposes one to premature baldness. The genetic message can come from either parent. 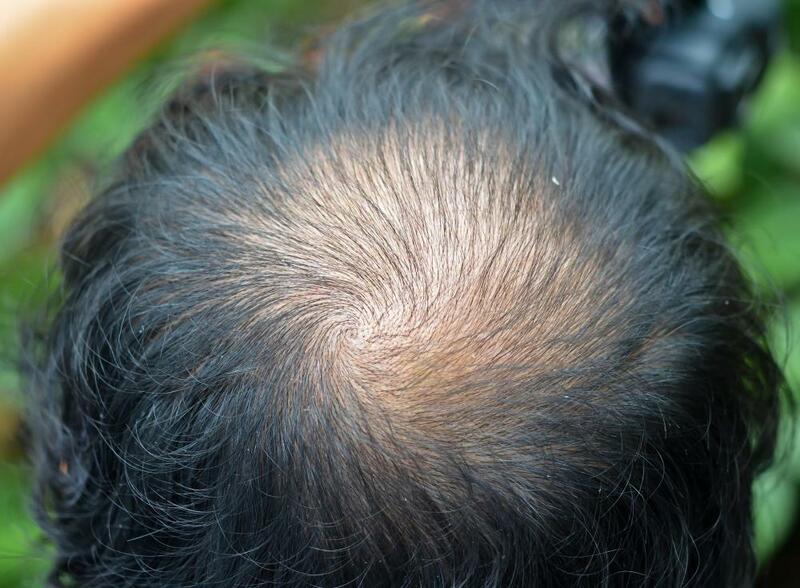 This type of hair loss, alopecia androgenetic, is the most common in adults. Male pattern baldness frequently starts as a small spot of thinning hair on the crown of the head. 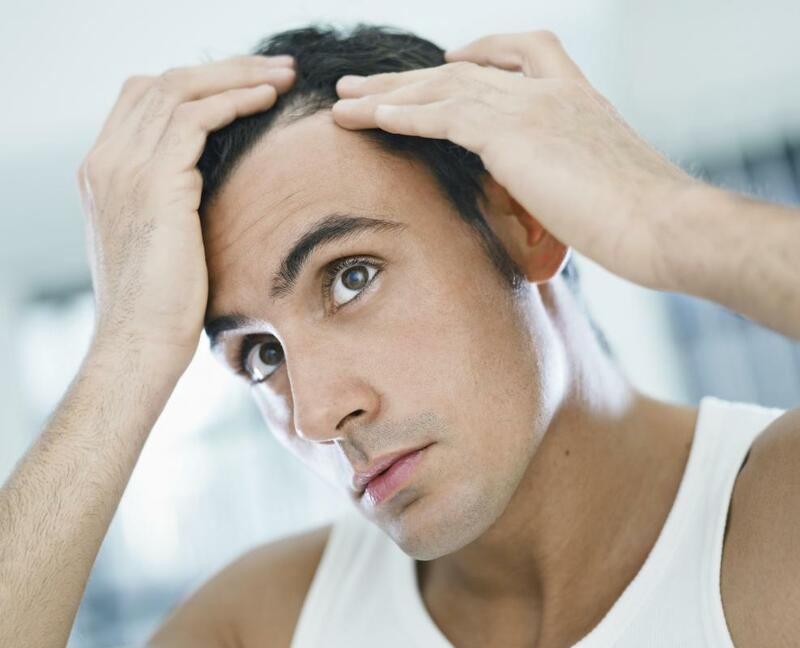 Without a successful intervention, men commonly lose most or all of the hair on top of their head. Male pattern baldness rarely results in the loss of a man’s hair on the sides and back of the head. Women who experience female pattern baldness commonly have patchy hair loss, often preceded by thinning and breaking hair. 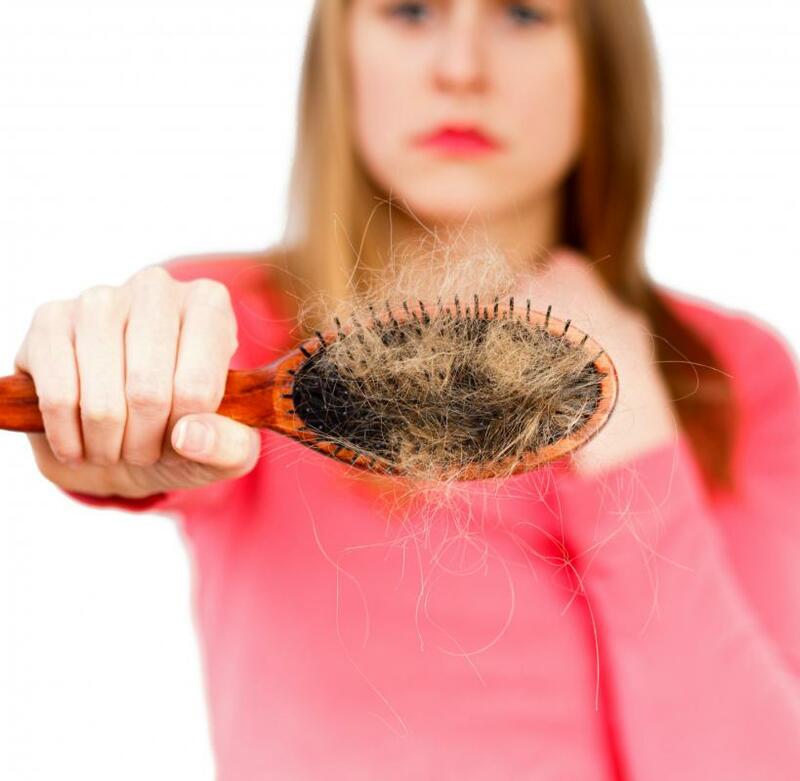 This type of hair loss often accompanies the onset of menopause, but it may start during perimenopause, as early as age 40 in some women. Decreased hormone levels are one of the factors that cause this type of alopecia in women. Women also may experience temporary hair loss during pregnancy or immediately after giving birth as a result of hormone fluctuations. People under prolonged stress often suffer from a temporary case of premature baldness, or telogen effluvium. This condition is different from normal alopecia, because the hair simply shifts into a resting phase and stays in that phase until one eliminates the stressor. During this time, one’s body does not produce new hair to replace the ones that normally are lost daily. Premature baldness in children is unusual, but the most common causes are ringworm and an immune system disease that causes alopecia areata. Hairstyles that pull one’s hair tightly also cause hair loss, or traction alopecia, in children and adults. Common culprits are styles such as ponytails and tight braids that can damage one’s scalp and the follicles. When the hair follicle dies because of pressure from one’s hairstyle, the resulting baldness usually is permanent. What are the Effects of Anorexia on Hair? What is the Relationship Between Weight Loss and Hair Loss? What are Steroids Side Effects?